When the New Year rolls around, most of us commit to a new years resolution. It may be instating Self-Care Sundays, or catching up with old friends, but most often it’s starting a workout routine. But why should working out only apply to your body? We all want to avoid the signs of aging. With the right products and ingredients you certainly slow down the process, but you can take it a step further by working out—your face. This isn’t your standard workout. We’re not talking weight lifting, running on the treadmill or even SoulCycle. This workout is all about facial modelage – and the best part? You can do it at home, in your pajamas, watching a movie with your favorite candle lit. Think ultimate relaxation. 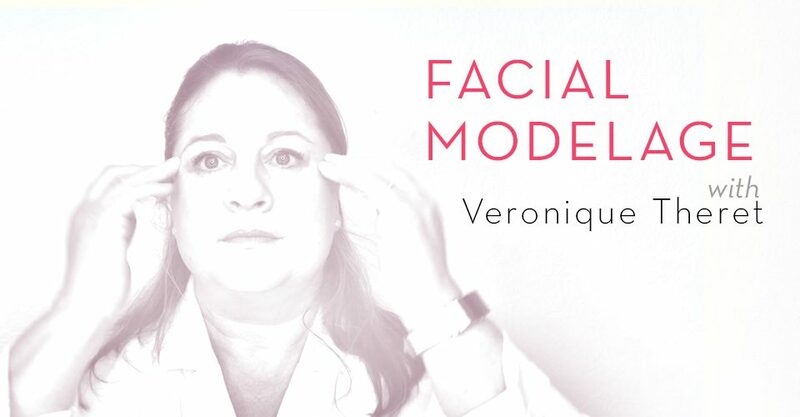 Facial modelage, better known as facial massage, facial exercise or face yoga helps you tone your facial muscles that have probably gone ignored, and give you the anti-aging benefits you’ve been looking for. It’s been around for as long as facials have existed. Kings and Queens—even Cleopatra, have used the technique. This massage technique is known as being a safe alternative to Botox and face lifts. Of course, not as instant, but it helps to lift, firm, tone and reduce the appearance of wrinkles. What are the benefits of facial exercise? Of course, anti-aging. It stimulates the muscles, activates blood circulation and helps promote better penetration of the products you apply on the skin. How does facial exercise help to reduce the appearance of fine lines and wrinkles? The movements are stimulating to the muscles under the skin, more stimulation of the muscles leads to firming and lifting – just like a typical workout. You can compare it to exercise for the body. If you exercise a muscle daily, you will have more of a result than only exercising once a month. Stimulating the muscles brings up the skin, like an at home face-lift. Is it helpful to massage any products into the skin while performing facial exercises? Yes! This is especially helpful because the massage technique will help the product penetrate better, so your skin will be getting the maximum benefit. For combination skin, I would recommend the High Endurance Crème, and Lumenez Vitamin Rich Crème for dry skin. My personal favorite is Vitality Nourishing Facial Oil, for all skin types. It’s a dry oil so it has a smaller molecule size that goes deeper into the skin. When you massage your skin, you activate the blood circulation, so automatically when you apply your product; it’s going to penetrate faster. The more blood circulation, the better penetration, so it’s always good to use product when doing these exercises. How often should facial exercise be performed? It’s best to do it at night, maybe when you’re watching a movie or during leisure time. I would say at least 5 days a week, just take 10 minutes out of your day and perform the exercises. How long does it take to see changes in the skin from facial exercises? Everyone’s skin is different, but it has to do a lot with how often you’re performing the exercise. But, if it is done consistently, your muscles get stronger. In one month, you should notice a difference. Can you overwork the muscles in the face and experience soreness, similar to traditional exercise? Yes! Don’t over-do it. It’s important to be regular. Do the exercises everyday in small doses; don’t overwork the muscles by cramming it all into one day. Do each exercise by count, 10 times or “repetitions” per exercise. There are so many techniques and exercises you can do to stimulate the muscles in your face. We’ve included a few of Veronique’s favorites to get you started! Next Next post: Portion Control: How Much Product Should You Really Apply?